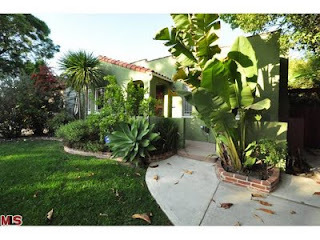 The Westwood home at 2366 Veteran Ave LA CA 90064, with a hip guesthouse, lasted 88 days on the market before accepting an offer on November 30th, 2011. Listed on 9/02/11 for $899,000, the property received just 1 price reduction during the listing term. And on 1/27/12, the home closed for $805,000 |$657 $/sf|. The main house, Spanish style exterior, consists of 2 bedrooms and 1.5 baths and has been completely remodeled with a contemporary flair inside. According to the listing, there is updated plumbing, electrical, a/c, new kitchen, etc.. The rear guesthouse is a cool modern loft style place...complete with a full kitchen and full bath, concrete floors, 20 ft ceilings, lots of windows and light, upstairs loft sleeping area and more. 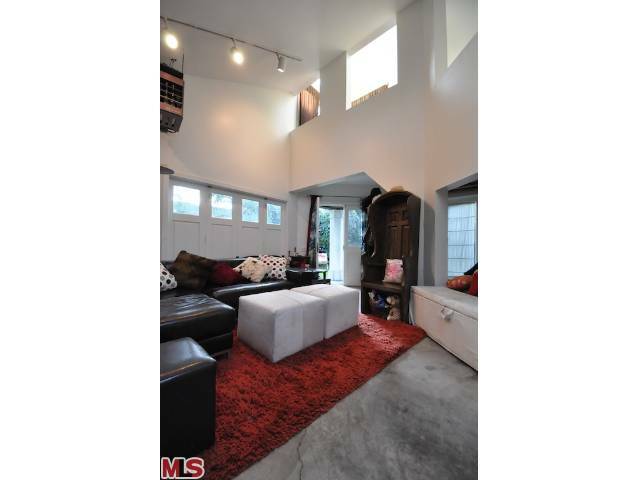 Definitely one of the hippest guest houses I have ever seen in Westwood. Buyer to verify permits etc..According to the MLS, the main house shows 2+1, 1,225 sf of living on 6,477 sf lot.